Artist and printmaker Ernst Neumann was born in Budapest, Hungary in 1907. His family immigrated to Canada five years later, taking up residence in Montreal, Quebec. 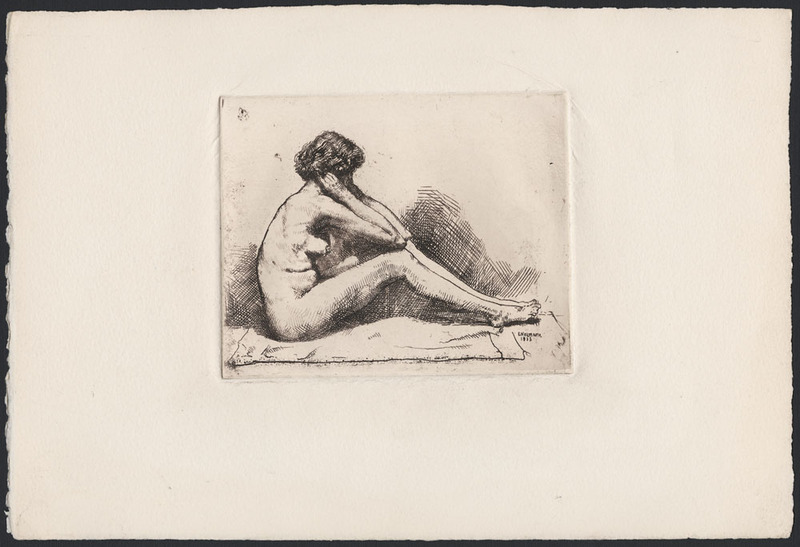 Following high school, Neumann began his artistic studies at both the École des Beaux-Arts de Montréal and the Art Association of Montreal. At the latter, Neumann met and studied with Canadian painter and engraver Edwin Holgate (MIKAN 3929083), renowned in the Montreal art scene at that time. Holgate was responsible for cultivating Neumann’s interest in and enthusiasm for wood engraving and printmaking. Neumann made a consistent and meaningful living working as an artist. 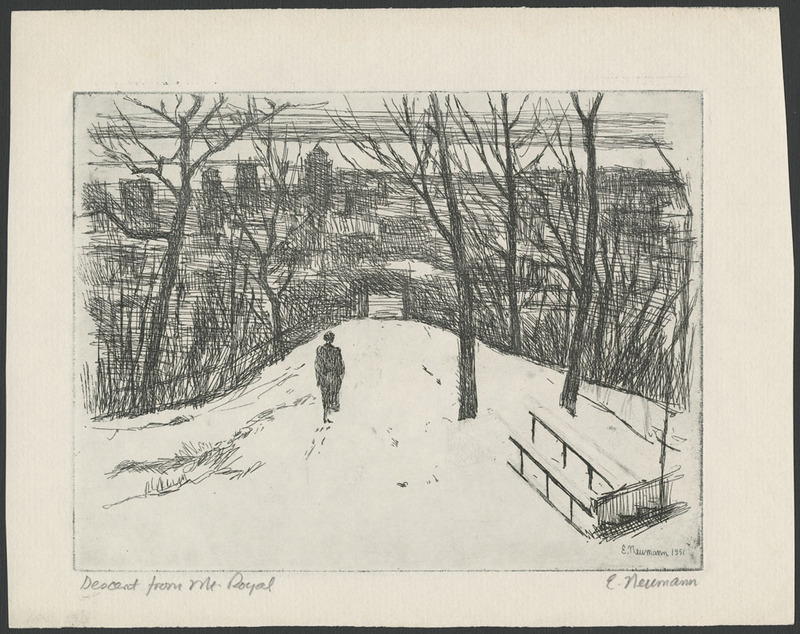 He created and sold commercial prints of Montreal’s streets and other urban scenes as well as portraits of the city’s social elite. However, Neumann found his true passion in depicting the marginalized of society during the Great Depression. These engravings of the poor and unemployed would often appear in the less mainstream Montreal newspapers and periodicals, particularly those with a left-leaning perspective. In 1936, together with fellow École des Beaux-Arts de Montréal graduate Goodridge Roberts, Neumann opened the Roberts-Neumann School of Art. 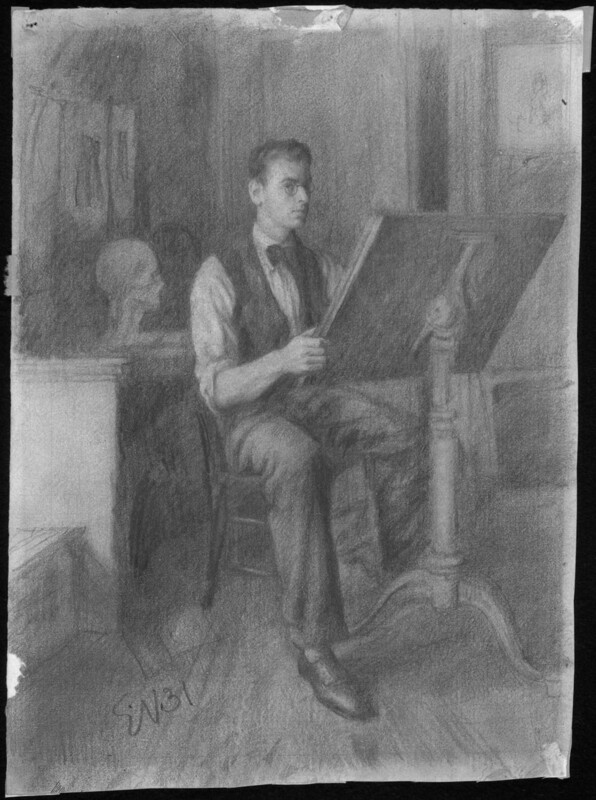 The school provided classes in painting and drawing as well as art appreciation. It remained open for only three years. The Ernst Neumann fonds at Library and Archives Canada was acquired from a private donor in 2005 and 2010. 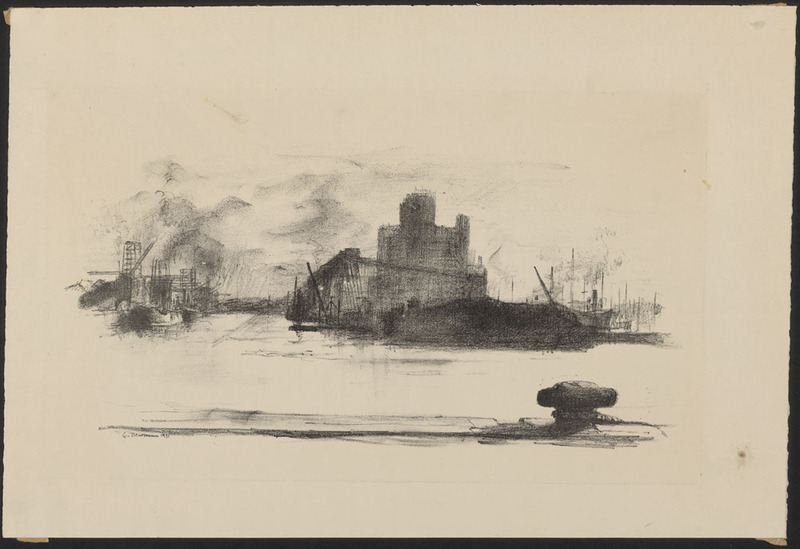 It consists of 156 etchings and lithographs, 49 drawings, 5 watercolours and 36 printing plates. The textual material includes a small amount of Neumann’s personal correspondence along with some catalogues. Funded by a fellowship grant, Ernst Neumann travelled to Europe in 1956. In March of that year, while visiting a fellow artist in France, Neumann suffered a heart attack, and died at the early age of 49. His remains were brought back and interred in Montreal thanks to the generosity of his peers. Judith Enright is an archival assistant in the Aboriginal and Social Affairs Section of the Private Archives Branch of Library and Archives Canada.